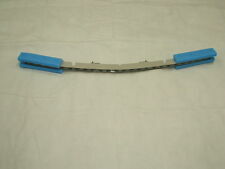 FOR RANGE ROVER VOGUE L322 2002-2009. -Type: Tail Light. 1 x Pair Tail Lights. High Impact Resistance. -Len Color: Clear&Clear. Give a sharper and more sophisiticated look for your car. Detail Image. -Part Number: XFB500351LPO(L), XFB500341LPO(R). E82 E88 1 SERIES 2007-2013. FOR SALE IS BMW GENUINE 3RD BRAKE STOP LIGHT TO FIT If Your original part is different from the one in the picture, You will need to modify the mountings. Part number. 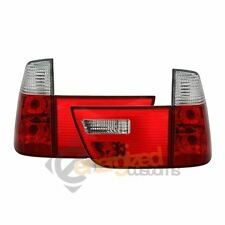 Genuine Mercedes-Benz CLC Rear 3rd LED Additional Brake Light A2038203456 NEW! 4.5 out of 5 stars - Genuine Mercedes-Benz CLC Rear 3rd LED Additional Brake Light A2038203456 NEW! 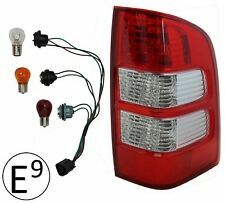 12 product ratings12 product ratings - Genuine Mercedes-Benz CLC Rear 3rd LED Additional Brake Light A2038203456 NEW! 1 x Nearside Tail Light Cluster. 1 x Offside Tail Light Cluster. Key Features. Direct Fit. Range Rover L322 Vogue 2002 - 2009. There are 3 types of rear lights fitted to the L322. How to change the rear lights on a Range Rover L322 - YouTube. How to change bulbs / replace bulb circuit board on Range Rover L322 rear lights. Colour: Red & Clear Jewel. All Performance Tail Lights are covered by a 12 Month Warranty. Will Pass an MOT. Add to Favourites. Need your item within 24 hours?. We will always try to find your sale but if we have no information it's like finding a needle in a haystack! OE 63217158944; 63217200822; 63217295340; 7158944; 7200822; 7295340. Model X5 (E70), 10.06-04.10. Part Kind Tail lights and associated parts. Part group Lighting. 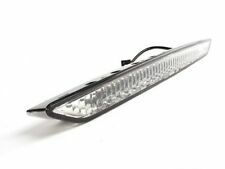 Manufacturer AL (Automotive Lighting). Fits Renault Master Vauxhall Movano From 2010 onwards. 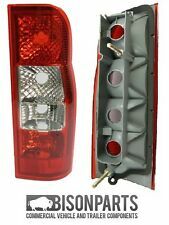 (Renault Master Vauxhall Movano Rear Right Tail Light Lamp)'s compatibility is a guide only. Renault Trafic Master 2.0L 2.2L Petrol Water Pump. Right hand (drivers) side Left Hand (Near) Side. 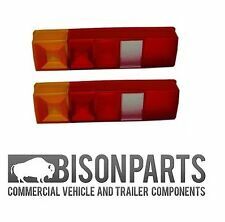 2x 12V 36 LED Trailer Truck Bus Van Stop Rear Tail Indicator Light Reverse Lamps PRODUCT SPECIFICATION: 1. High quality 100% brand new. 2. Simple and easy to use. 3. Color: Like the picture show. 4. Quantity: 1 Pair 5. Volt: 12V 6. 36 LEDS each light, 72 LEDS in a pair 7. Cable Length: Approx. 180mm (7.09") 8. Dimensions: Approx. 340mm x 150mm x 45mm (13.38" x 5.90" x 1.77") (Length x Width x Height) 9. Metal cover (included) DESCRIPTION: . 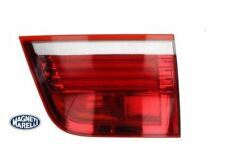 BMW 5 Series 2010-2013 LED Rear Inner Light Unit. Driver side (O/S). Peugeot 508 Estate 2011-2013 LED Rear Inner Light Unit. Driver side (O/S). Position On Vehicle: 1 Pair, Left and Right. Light Position Light Type Complete Light Casing. Need your item within 24 hours?. 3 Year Warranty . We will always try to find your sale but if we have no information it's like finding a needle in a haystack! From 2008 and excluding sport models. Can't Find What Your Looking For?. In stock in UK warehouse with UK customer service! Fits Trailers,Trucks,Lorry,Utes,Boat,Caravans Etc. 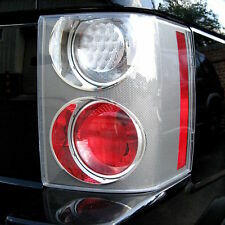 1 Pair LED Rear Tail Light (Left & Right). Volt: DC 12V. LED's per Light: 8 high quality bright LEDS. LED Light Color: Red & Yellow. Easy install, Bright, Durable. Fit for Trailers,Trucks,Lorry,Utes,Boat,Caravans Etc. 1 Pair LED Rear Tail Light (Left & Right). Volt: DC 12V. LED's per Light: 8 high quality bright LEDS. LED Light Color: Red & Yellow. Easy install, Bright, Durable. 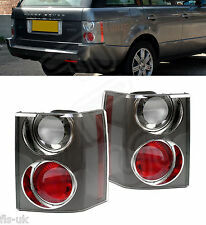 Land Rover Discovery 3 & 4 Rear Upper High Mounted Brake Light. Land Rover Discovery 3 & 4, (2004-2016). Land Rover Parts & Accessories. Land Rover Parts. Discovery Parts. Series 2 & 3 - Defender 90/110/130, Discovery 1,2,3,4,5 & Sport - Freelander 1 & 2 - Range Rover Classic, P38, L322, L405, Sport & Evoque. 1 x Nearside Tail Light Cluster. 1 x Offside Tail Light Cluster. Key Features. Direct Fit. Main Bulbs Pre-Installed. Lamp Illumination Indicator Colour: Clear. Light Position Position On Vehicle: Left. Light Type Complete Light Casing. We are happy to help you with this process. Need your item within 24 hours?. 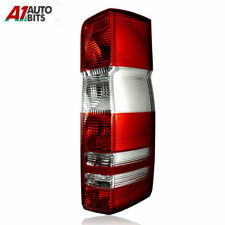 VW Scirocco REAR LIGHT Drivers side O/S 2008-2014 1K8945096M. Condition is used, some light marks, fully working complete with bulbs. Passenger side N/S also available on my other auctions. Please feel free to ask questions, thanks for looking. Passenger Side (Nearside). Fits Models 2014 Onwards. Peugeot Boxer Rear Light. Exhausts & Exhaust Parts. Exterior & Body Parts. Air Conditioning & Heating. Interior Parts & Furnishings. Windscreen Wipers & Washers. Blue - Taillight. Yellow - Indicator. Volt: 12V DC. LED Light Color: Red & Amber. LED's per Light: 40 LEDs. 1 Pair LED Rear Light (Left & Right). Easy install, Bright, Durable. Red- Brake Light. Feature LED Number: One is 20pcs, the other is 20pcs 6pcs (6pcs for Liccense plate light) Multifunctional - Taillight, Turn Signal, Brake, License, Reflector. Waterproof, protector cover,shock and vibration resistant. Lamp Illumination Indicator Colour: Clear Indicator. Light Position Position On Vehicle: Right. Picture is for reference only but normally shows precise item. Light Type Complete Light Casing. Add to Favourites. Submodel (if applicable): including Qashqai 2. Lamp Illumination Indicator Colour: As Pictured. Light Position Position On Vehicle: Right. Light Type Complete Light Casing. Need your item within 24 hours?. Lights & Lighting Accessories. Party Decorations & Supplies. 2 x 36 LED Truck Tail Light. Use for Stop, Tail, Indicator and Reverse applications. Tools & Building Supplies. Blue - Tail. Number of LED lights : 20 Red, 8 Clear and 8 Amber. Transporter T5. Rear Tail Light Lamp. Multivan 2003 - 2016. Left Hand Side and Right Hand Side. 7H5945095L / 7H5945095M / 7H0945095H. Bison Parts cannot accept liability for any inaccurate or subsequent changes to the information provided. This policy does not affect your statutory rights. Ordering from outside mainland UK?. Lamp Illumination Indicator Colour: Clear Indicator. Position On Vehicle: Left. Light Position Light Type Complete Light Casing. We are happy to help you with this process. Need your item within 24 hours?. Suitable For Selected W204 C-Class Saloon Models. 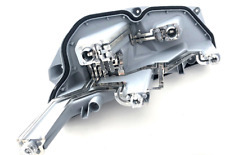 This part replaces manufacturer part numbers:4388140, FD423ACBCN, BP17-1547, BP171547, 4936, LP4936, 1895939, 6696035, 82840538, 82842535, 85DB13445AB, 86DB13444AA, 86DB13444BA, 86DB13445BA, 92VB13450AA, 9988005, LL6314, LL6315, I2700, I2700U, LP4936. Lamp Illumination Land Rover. Indicator Colour: Clear Indicator. Position On Vehicle: Left. Light Position Light Type Complete Light Casing. We will always try to find your sale but if we have no information it's like finding a needle in a haystack! This VW Volkswagen logo laser light for car door works as countesy light, when you open the door, the car logo will be projected on the ground. The light will be off automatically when the door is closed. This light is especially designed to be installed to the original place and you don’t need to bore a hole or pull extra wire for it. Easy installation in minutes by nonprofessional. Attention:Package not include extra wire,this light does not need wire. Features: Fixed to original light hold, no drilling, wire pulling Easy installation in a minute or two Constant current and stable No electronic interference or current noise. Translucent Colour Film Tape. Protects Your Car's Doors & Wing Mirrors From Scratches. Each Roll Approx 1m x 50mm. Ensure that your car is visible at night, and road legal, with rear light assemblies. These car parts fully replace the light section at the rear of your car, perfect if you've got multiple parts that need replacing. Having functioning lights is a legal requirement so these parts are very important. Fron OEM parts to aftermarket products, you'll find the exact car lights for your vehicle here on eBay. When browsing these car parts, you should keep in mind the exact make, model and year of your car. This will ensure that you choose something that's fully compatible with your car. An incorrectly sized rear light assembly may not fit or might come loose when out on the roads. If you don't have experience with installation, go to a garage for help. These rear light assemblies typically feature the rear lights in a case and come with the electrical fittings to make needed for power. Replacing a full light unit can be quicker and more economical than replacing multiple smaller parts. Go for a genuine OEM rear light assembly for something made with the quality and durability of big car brands. Going for OEM parts also ensures that they'll be fully compatible with your car. 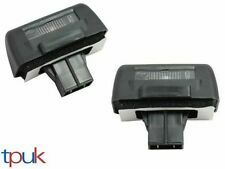 Single rear light assemblies are ideal if either the passenger or driver's side unit needs replacing, whilst a set of both is perfect for getting both sides back in full working order. You could even get yourself a set of both to keep one side as a spare. 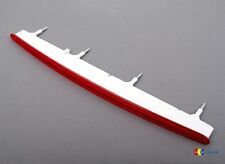 You'll also find high-mounted brake lights, ideal if your top brake light has stopped working. Aftermarket parts are available too, letting you add a touch of style to your vehicle. These come in a range of stylish designs that use different shapes and colours to add a sporty touch.